Writer/producer Cynthia Bond’s first go at curating a series of dances on her own shines a lens on the use of technology to complement, alter, or replace movement. Dubbed Body ±, the one-nighter at High Concept Labs on the fourth floor of Mana Contemporary’s massive warehouse space in Pilsen seems the perfect project for the alternative intimate rehearsal space and convertible performance venue. Four multi-media artists (James Moreno & Benjamin Rosenthal, Christine Shallenberg and Carson Reiners) approach technology in different ways, but each work possesses a common theme of projecting the body outside of itself. Whether that be to question the perception of self, realism vs. surrealism, or relationships with others… while choreographers often use technology and media to enhance these sorts of themes, rare is the occasion that the technology itself is brought to the fore. Such is the case in Christine Shallenberg’s Approximate Dialogue, a duet in which performers Amelia Charter and Amanda Ramirez dance together unknowingly. The space is divided lengthwise into right and left parts; neither woman can see the other, so moments of synchronicity in the nearly half hour improvisation are the product of happy accidents. Motion caption technology borrowed from video game consoles gather Charter’s movement, projecting it to Ramirez’s side, and vice versa. Each movement phrase, however, is rendered into series of scratchy white lines and scribbles on the back wall – like a child’s Etch-a-Sketch – for the other dancer to replicate through her movement. The result is a fascinating symbiosis between two movers who, for whatever reason, demonstrate starkly different movement qualities. 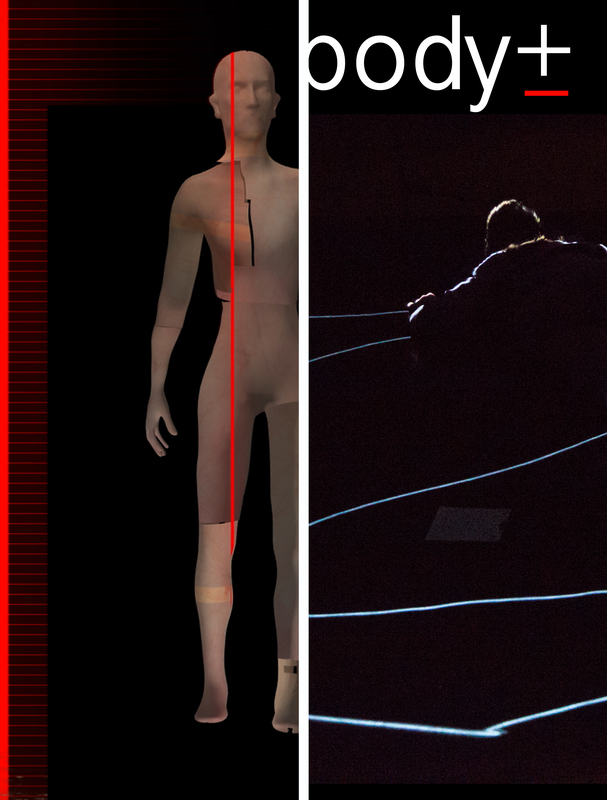 In the projected images, however, disparate qualities are largely interpreted by the motion capture in similar ways. Approximate Dialogue is a piece that washes over the viewer as a sort of meditation, prompting reflection about how bodies in space are perceived in a digital world, and the potential ramifications of increasing dependence on technology. At least, that’s what happened when I observed it, but there’s also the role of such mediums and their integration into performance itself to be considered. When do multiple mediums collide to the extent that it’s no longer…. a dance? Do viewers desire to see technology in the forefront and make it a part of “the thing,” as Shallenberg consistently does, rather than a series of line items in a long list of collaborators? Or does an audience prefer that the “magic” remain behind stage? As movers, filmmakers, performance artists and theatrical designers and technicians increasingly engage with the dance community as some of its promising creators, spearheading projects rather than supporting choreographers from the background, we all might get closer to some of those answers. Body ± takes place Thursday, April 7, 7:30 p.m. at High Concept Labs, 2233 S. Throop St., 4th floor. Tickets are $10, available online here. Beverages will be served, compliments of Lagunitas Brewing Company.